This is a quick little card to give to Jim - just because. Since I dropped from the number 1 spot to number 2 spot around here when we got Rambo I figure he'll like it!! Ah, such is life I guess! He'll probably hang it on the wall so he can look at it every morning when he wakes up! This actually was for a Retro Sketches challenge - last week. As always I'm about a day late and dollar short. 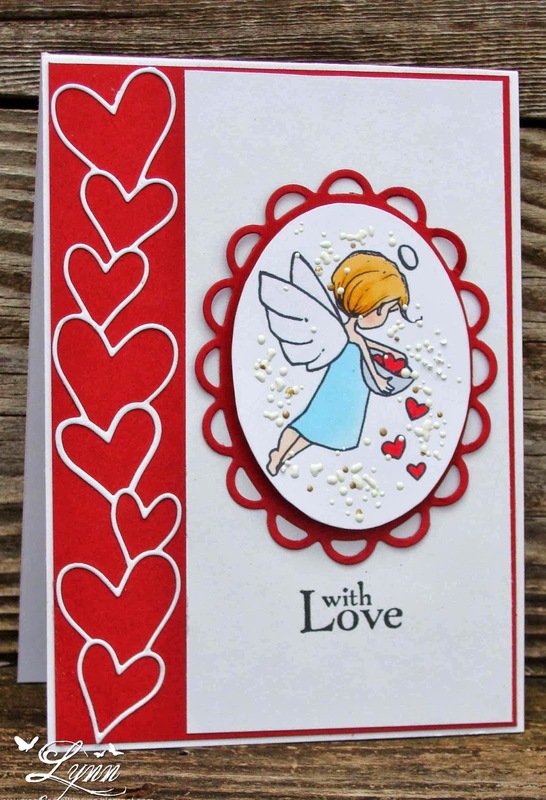 I used a stamp set and die from Taylored Expressions, sponged in a few clouds, added a snip of "grass" and twine, popped up a heart covered in the Wink pen, and then mounted it on Kraft card stock. 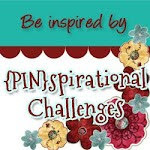 I'll enter this in the challenge at Pixie's Crafty Workshop (snippets) and Crafty Sentiments (love). 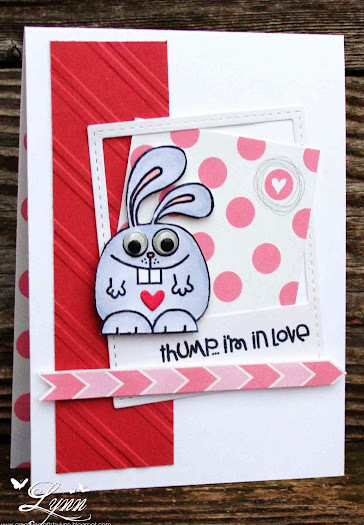 I just love this little rabbit from Paper Smooches! He's definitely got the "look". 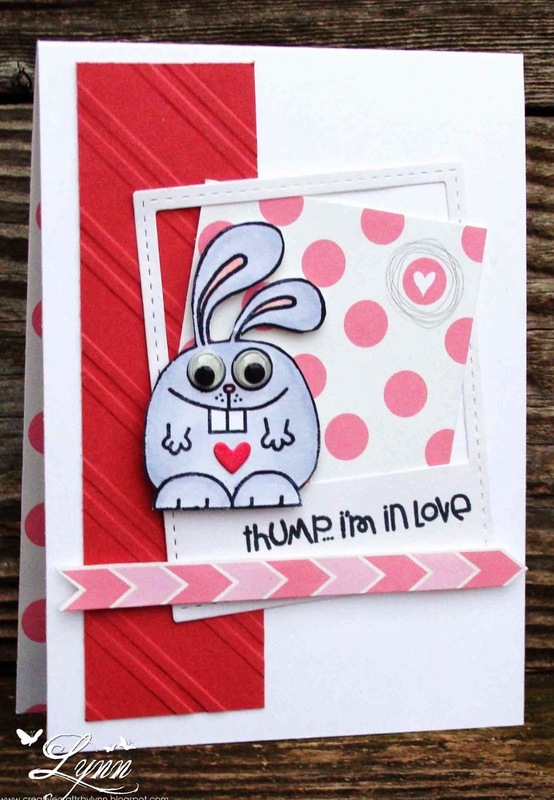 I think he's cute for Easter, Valentines, Love, or just because I want to do a rabbit. This one will just be a little love card. The image and sentiment (A Little Lovin) are from Paper Smooches and the paper is from a Simon Says Stamp kit. I punched out the tiny heart on the rabbits belly and then used the Wink pen over that for just a little shine. Last but not least - I couldn't resist and HAD to add the googly eyes! This is for the Design's Draft (Sketch) challenge at Paper Smooches Sparks. 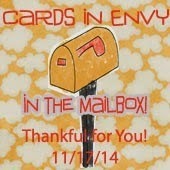 I love watching videos of gals making cards - and get through watching them and realize they never mess up! HA! 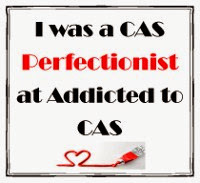 Guess that's what editing is for. I don't know though, maybe they don't mess things up like me. But give me some paper, stamps, whatever.....and I guarantee I'm going to mess up and have to re-do things numerous times. Then comes the part of taking a picture.....I could have every kind of photo editing program available and it still never looks as good as the real thing. Ugh! In this one the stars and background came out looking pretty much ok - but that owl looks like he's had way too much chocolate to eat! LOL! He really is a nice little brown owl and not a chocolate covered owl. 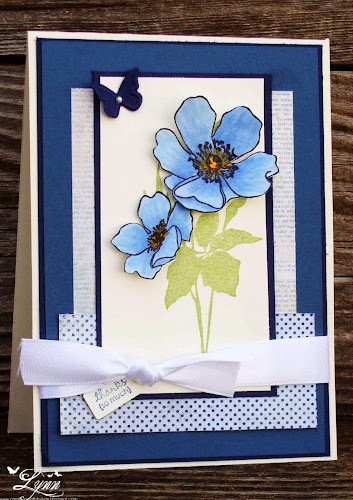 Back to video watching......I recently saw a card over at Darlene Design and thought - hey, I can do that! 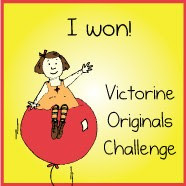 Yep, I did it - but not in one try! Anyway.....this is similar to her card - just changed up the design a little, added a different owl and sentiment, and then added a stick (yep.....from a tree) since I don't have one of those cute little branch dies - but do have trees! I stamped and then embossed all the little stars (Hero Arts background stamp) and then sponged Night of Navy ink all over it. The moon was a circle punch covered in distress ink. 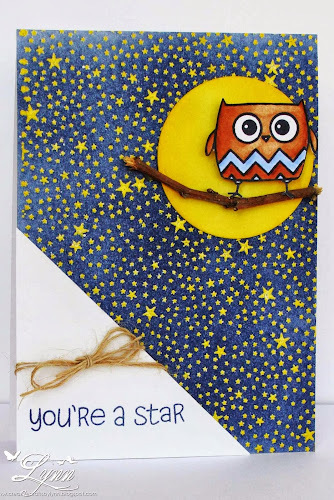 I've got several Graduation cards I have to make this year and since the colors are blue and white and the mascot is an owl, think this will work. I know it's Saturday but I have a Fun Friday for everyone today! Before I get to the deets about my card I wanted to tell you that this is my last post as a Guest Designer at Sweet Stampin'! 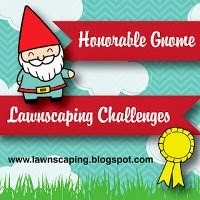 The challenge this week is HUMOR and I can't wait to see all the entries since I do love humor! 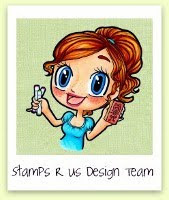 Be sure and stop by the Sweet Stampin' blog and play along for a wonderful prize package from sponsor - and see all the wonderful creations from the DT. 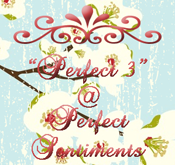 I can't even begin to tell you how enjoyable this Guest Designer spot has been! They have so many fun challenges and a great DT. It's been an honor to post for them and I've loved every minute of it. Thank you so very much for having me for this entire month!!! The image of this cute little ostrich is from Squigglefly and the artist is Enid Barnes. She's does some sensational images so check them out when you have time. 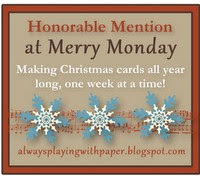 I swear I could make one of these cards every single day of the week and give it to Jim! Sometimes I really wonder about him and some of the things he can come up with. Example......and I won't go into all the details since it'd take too long - but I sent him to the grocery store the other day to pick up some cheese so I could make a cheese ball. Of course (being a male) he wouldn't let me give him a list, so I just said I needed cheese. He called from the store 30 minutes later wanting to know what I needed (eye roll here)......just cheese for a cheese ball, that's it! Ok, no problem-o!!! He came home with no cheese - but yeast instead and said, well, that's what you asked for, right!! Say WHAT????? 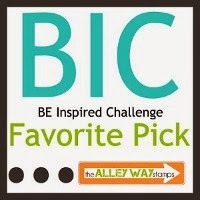 I'll enter this in the challenge at Squigglefly ( Use a digi image (Squigglefly) and a digi sentiment (computer). I don't know about y'all but the weather down here in Texas has been like a yo-yo......you're freezing your buns off one day and in shorts the next day! Pretty typical for this time of year, but very confusing to say the least. If you're freezing and can't really get outside to do much, the next best thing is to sit down and read a good book! 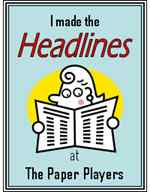 So, with that in mind.......Our new challenge at Digi Haven is to make a bookmark! We're being sponsored by Melonheadz who also provided the images for all the bookmarks you'll see when you stop by our blog. Enter for your chance to win a wonderful prize package from Melonheadz! I always think that a bookmark should be simple, flat and to the point - don't want to crimp up any of the pages or something like that. I've used the Christmas bookmark image and colored it with Copics, added a little shine with the Wink pen and some glossy accents, patterned paper placed on the sides, and the net at the top. This would make a cute stocking stuffer for one of the grands and very simple to do. 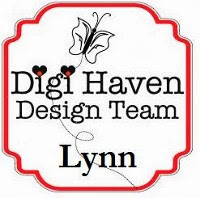 Be sure and check out the Bookmark challenge at Digi Haven! 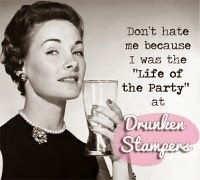 I haven't had a Fun Friday in a long time now.......and I know that today is Friday - BUT, I do have a fun card coming tomorrow so stop back by then! 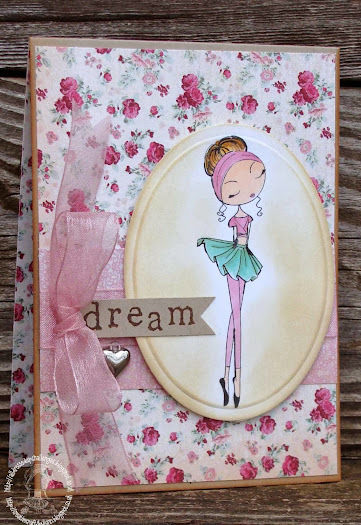 This is just one of the new release images being showcased on the All Dressed Up blog today! Be sure and stop by there to see all the other wonderful new images!! This little lady is named Love To Dance and you can find her in the All Dressed Up SHOP. Very seldom will you see me make a girly type card and even when I do I don't add flowers or things like that to it. Mainly because every time I do it just never looks right. I did have some sheer ribbon and some feminine type paper though so thought I'd work with that in mind. 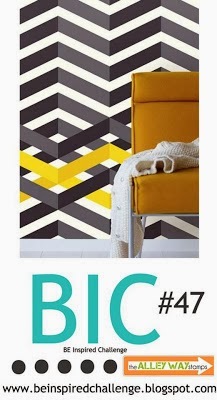 The paper is from My Minds Eye - sorta reminds me of wallpaper! LOL!! But, it's pretty! I colored the image in Copics and then sponged around it with Antique Linen. 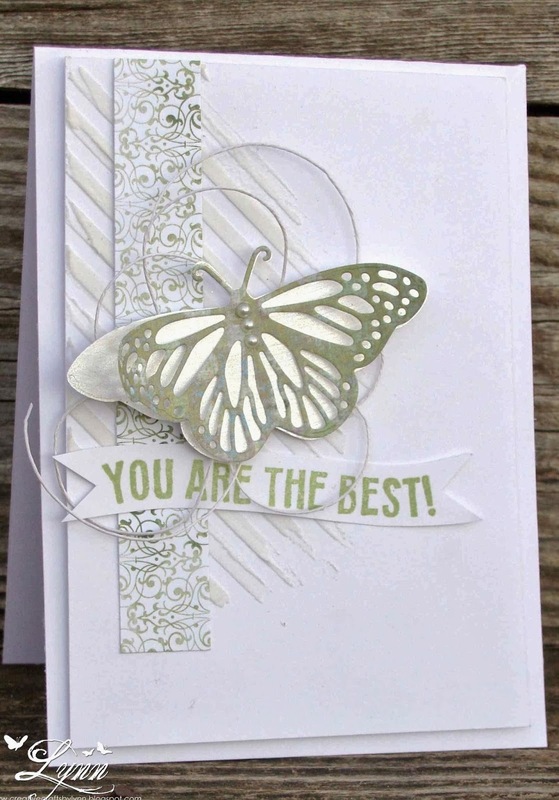 The sentiment is from Inkadinkado and was stamped on Kraft paper - which is also the card base. The little charm was added after attaching the ribbon, bow, and sentiment. 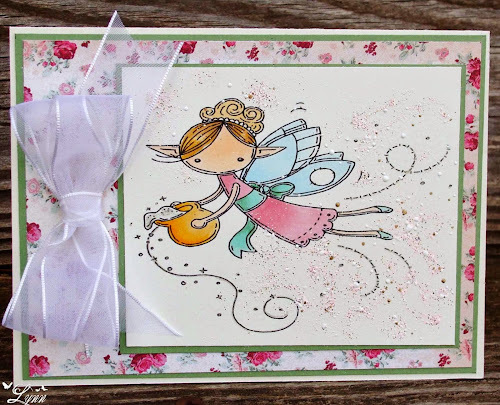 I'll enter this in the challenge at Pixie's Crafty Workshop (snippets - ribbon and Kraft paper for the sentiment) and at Sweet Stamps (anything goes). Stop over at All Dressed Up to see all the new releases. 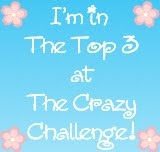 There's also a challenge going on there right now so be sure and check out all the details and enter. This looks like me trying to get the house clean when company is coming!!! It's probably just dust you see flying in the air though instead of fairy dust. 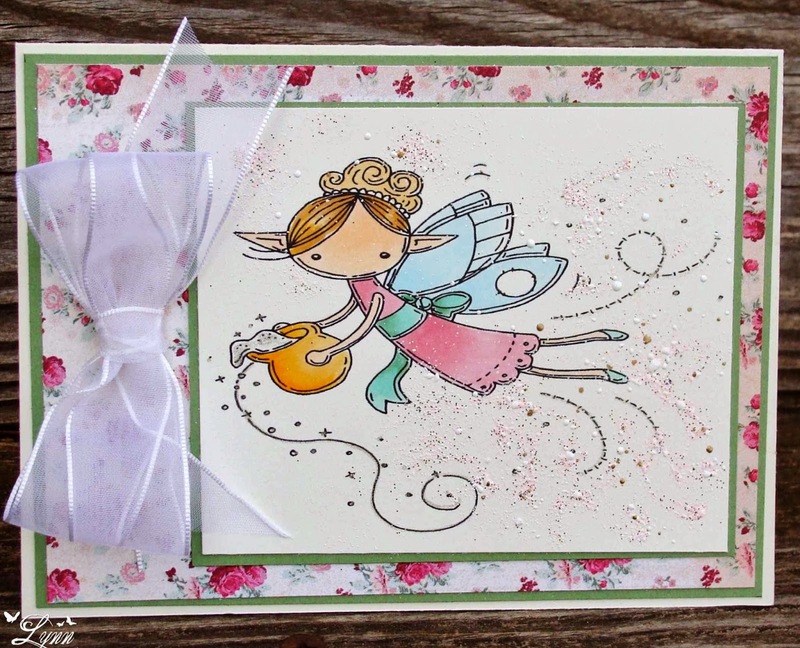 It's time for another challenge from Tuesday Throwdown and this time we have the theme of Winged Fairy Tales. Our sponsor is Meljens who also supplied the images for this challenge. 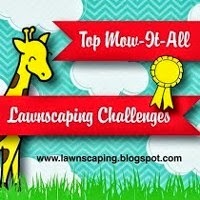 Head on over to the challenge and check out all the rules and inspiration from the DT and then enter for your chance to win a wonderful prize package from Meljens. I used some My Minds Eye patterned paper (that you'll be seeing once again on Thursday) and then colored the image with Copics. I also used the Wink of Stella Pen on her wings but it really doesn't show up in the picture. The extra "fairy dust" is some pink Frantage. 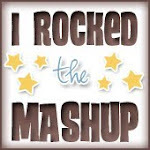 Thanks for stopping by.........and check out the Tuesday Throwdown challenge! 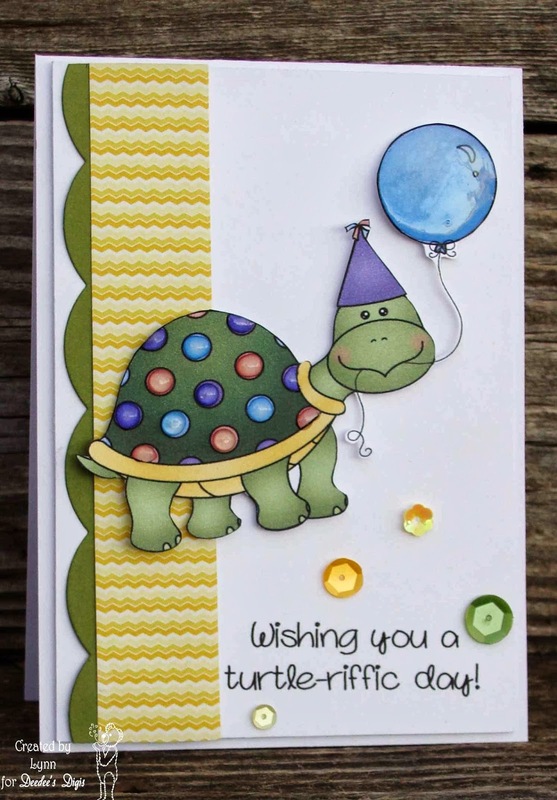 Hope everyone is having a great day today - make that a Turtle-riffic Day! 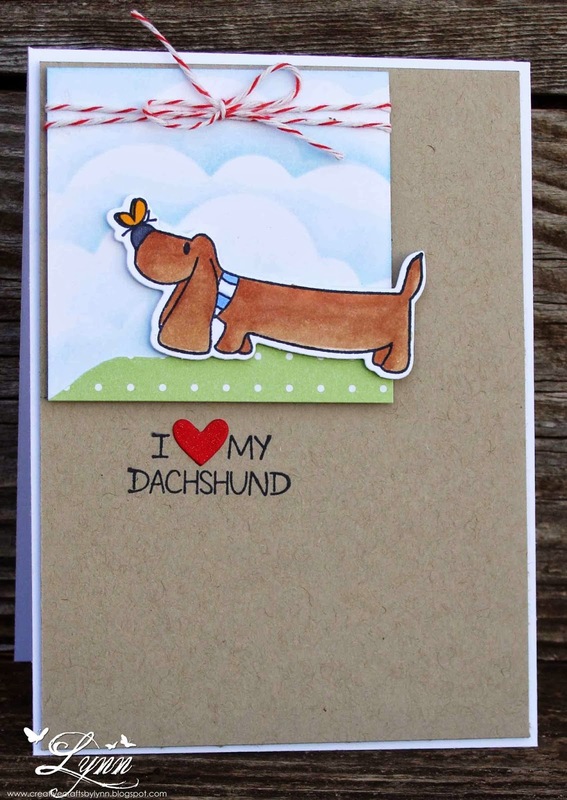 This cute image is from Deedee's Digis and you can find it in her shop. 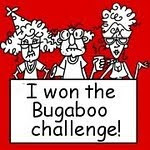 Of course, if you'd played along in the challenge last month you would have already received this one for free! 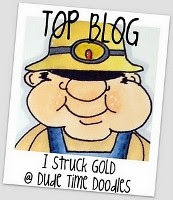 Check out all the details on that over at Deedee's Digis and start playing along! This is a pre-colored image and I cut him out and popped him up on the card. I added Glossy Accents to the balloon and all the spots on this little guy. 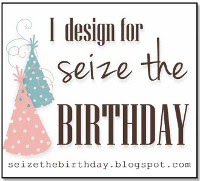 I always seem to need birthday cards and this one just is perfect for this. He comes in a pre-colored and line version, plus has some precious sentiments included. Thanks for stopping by and I'll see everyone again on Tuesday! I never make monochromatic cards and don't think I really started doing that on this one either....but as you can see, that's what came out. I was actually attempting to make a card similar to one I saw in the stencil class but it really went south of what I saw which is probably normal for me. I used an Impression Obsession die and added some Fantastix Frost White on the underside (solid layer) of the butterfly for the shine and then die cut the top layer in a patterned paper and added several tiny pearls. 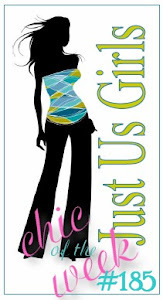 The strip of DP is from Basic Grey and the sentiment is from a Simon Says Stamp kit stamped on a hand cut banner. I added some looped white hemp twine behind the butterfly. Back behind all that stuff I used some embossing paste and part of a stencil. Whew!!!! Sounds like a lot but doesn't look like it! Is anyone besides me ready to see spring and maybe even a butterfly or two? 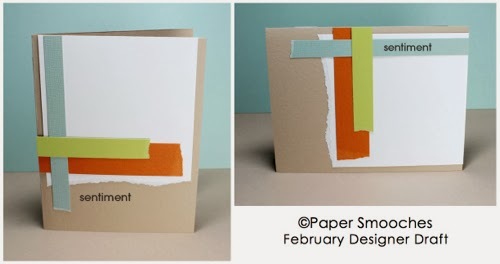 It's always so hard for me to come up with a birthday card for a teen boy if they don't have a specific interest and I have several that I have to make cards for like this during the year. Males don't generally like a lot of fluff and stuff on them (they're mainly looking for the money inside!) so I didn't add any to this card....just a bunch of arrows and a little wonky sentiment. 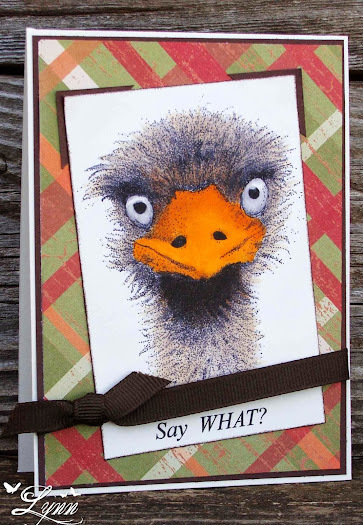 I used two stamp sets from The Alley Way Stamps on this - Jibber Jabber and Good Point. 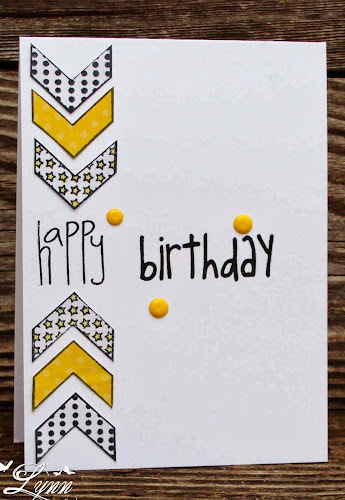 I stamped the yellow arrows on some SU DP and then added the enamel dots with my Paper Pen. Bear with me - one more Valentine and then I think this will be the last of the litter. 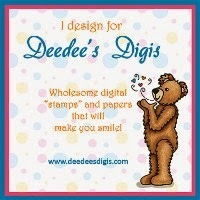 This cute little digi is from Deedee's Digis and I just love it to pieces! 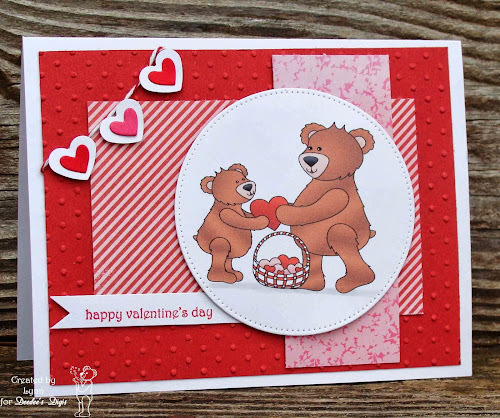 The little bears are so precious and just perfect for a sweet Valentine's Day card. 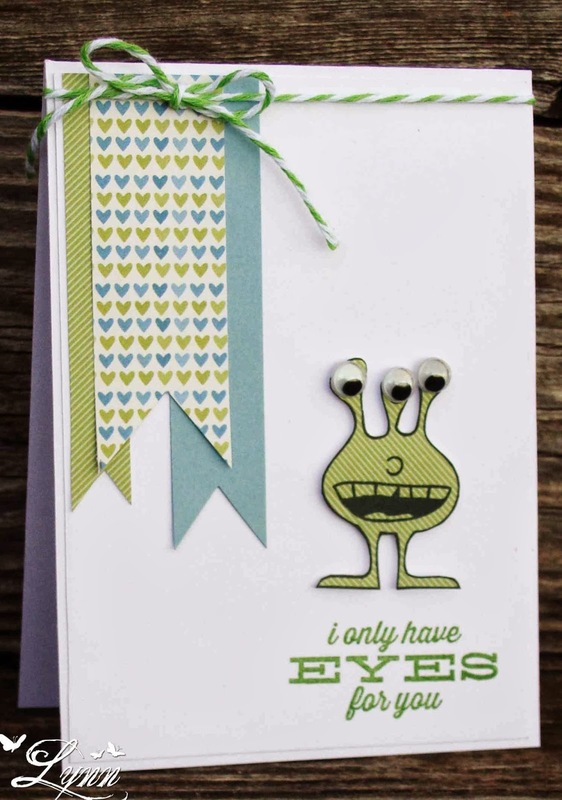 You can find these little guys in Deedee's SHOP along with so many more fabulous images. This one is pre-colored, called You Have My Heart, and it made into a very quick card for a last minute Valentine card for one of the granddaughters. Deedee also has a progressive type challenge. 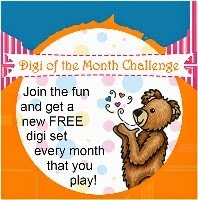 Check out the blog for more information on how to enter and earn a free digi each month. 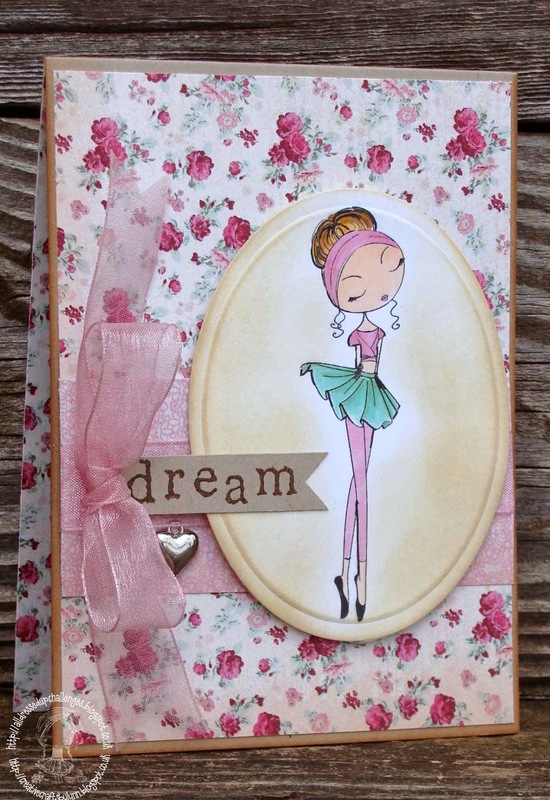 I've used some Real Red card stock along with scraps of patterned paper. The banner......UGH! After fiddling with this thing for about 30 minutes I just finally threw in the towel and gave up. I'll be the first to admit......I do not know how to make a banner look like a banner! In my mind it looked so cute and just like someone knew what they were doing.....but......didn't happen. 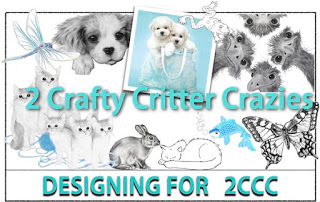 It's still pretty cute just not like I think a banner should look. I really don't think the three year old grand will know the difference though, so it is what it is. 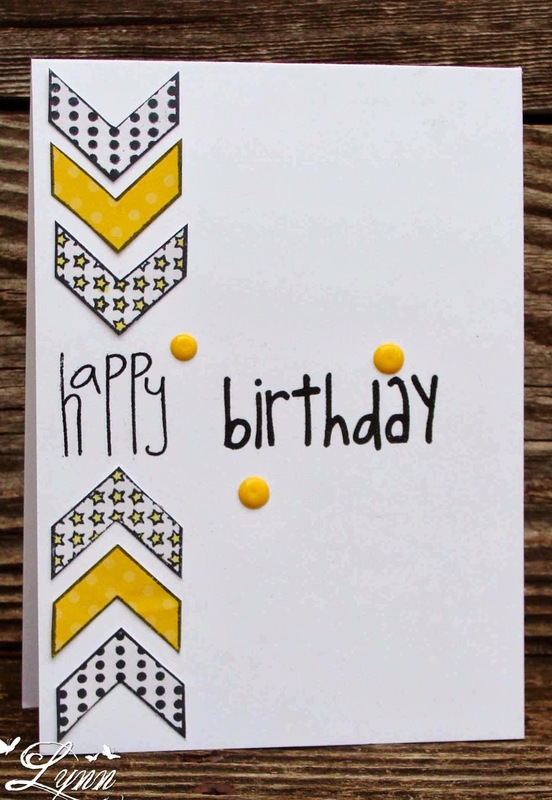 This is my second card as a Guest Designer over at Sweet Stampin! 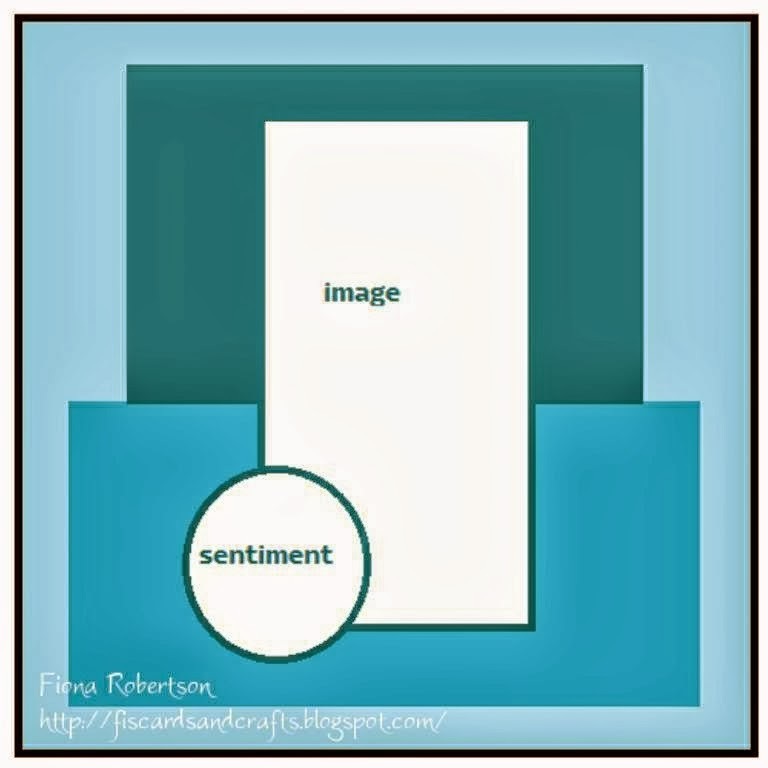 The theme for this challenge is "Sentiment Only". 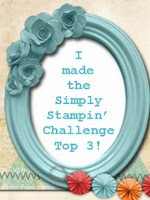 Be sure and head on over to Sweet Stampin and see all the wonderful creations by the Design Team and enter the challenge for a chance to win a prize package from the sponsor Crafty Ribbons. VERY clean and simple card here but I still think it has an impact. 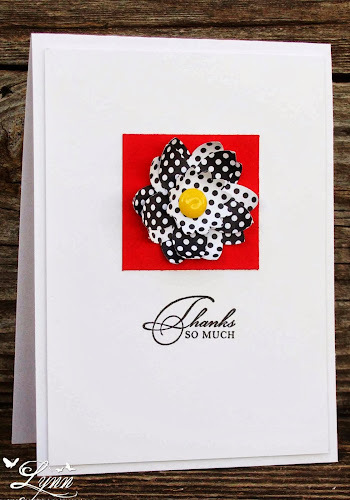 I used a flower punch from SU and alternated the black and white polka dot patterned paper. The yellow center was made with a Paper Pen. This was mounted on a square of Real Red card stock. 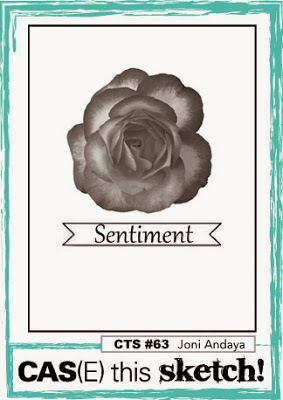 The sentiment is from SU Watercolor Trio. As I said, a very clean and simple design. I'll enter this in the sketch challenge at CAS(e) This Sketch. 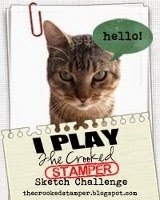 Thanks for stopping by......and be sure and check out Sweet Stampin! 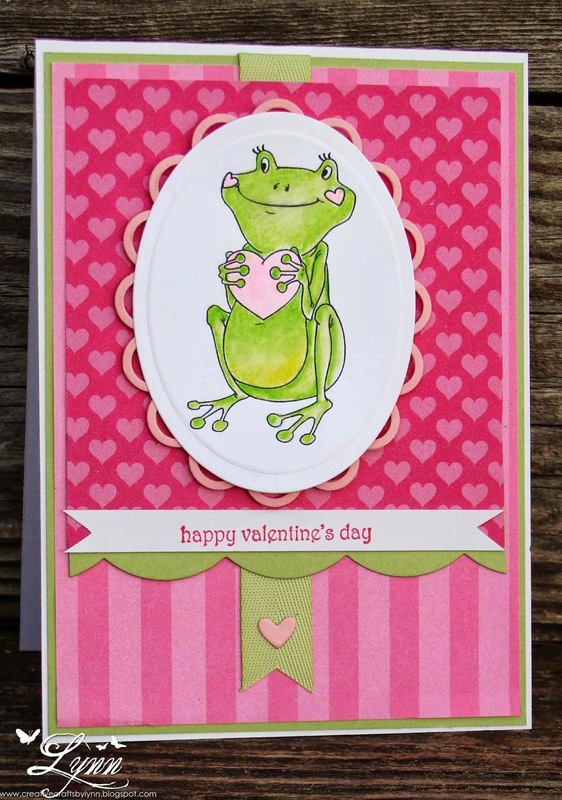 That's the theme for our Digi Haven challenge beginning today - Love, Cherish, Valentine, or Adore! What could be easier with Valentine's Day one week away. We're being sponsored by A Day For Daisies who also provided the images for the Design Team. 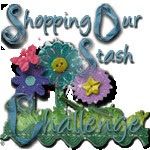 Be sure and check out our challenge and enter for your chance to win a wonderful prize package from A Day For Daisies. I used this little angel carrying a basket of hearts. She colored in Copics and the Wink of Stella pen used on her wings. A little Frantage was sprinkled around and then was framed out with an oval nestie. The heart die on the side was recently won in some blog candy from Mary. That's it for today - but will be back tomorrow! Is anyone getting tired of all the Valentine and love cards lately!!!!! Whew! Just about another week and then we can move on to something else.......thank goodness, right! I used the Falling Hearts stencil from Simon Says Stamp and some really bright red embossing paste that I recently purchased at a stamp store going out of business in the city. I picked it up and was trying to decide if I really wanted to buy it or not (even though it was a good price) and then figured, why not......Ka-ching into the basket it went.....along with several other things I didn't really need but just had to have. You know the feeling I'm sure! The pink vellum.......when I first started this hobby (addiction) a friend gave me a ton of paper - patterned paper, card stock, specialty papers, and vellum. I've got so much vellum and patterned paper I'd have to live to be 180 to use it all. Doubt if I'd be able to see much at that age so figured I'd start using some of it now. 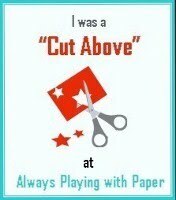 I cut the banner and then added the "love" die (stacked). A pretty quick and easy card. 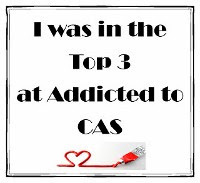 I'll enter this in the challenge at CAS-ual Fridays (Over the Edge) and Eureka Stamps challenge (Red, Pink, and White), and Simon Says Stamp (have a heart). 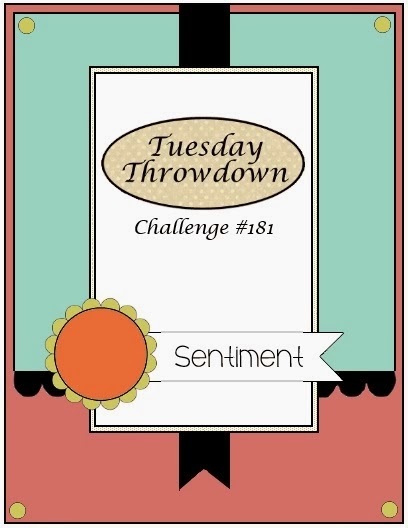 It's time again for another challenge at Tuesday Throwdown! We have a sketch challenge this week and I DO love this sketch! I know I'll be using it over and over. We're being sponsored by Robyn's Fetish so be sure and enter for a chance to win a wonderful prize package from them. Check out all the inspiration from the Design Team at Tuesday Throwndown! 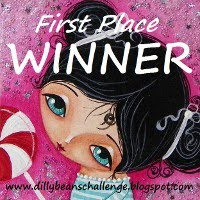 Thanks for stopping by........and hop on over to Tuesday Throwdown and enter the sketch challenge! Love is in the air and it's time for another challenge from All Dressed Up! 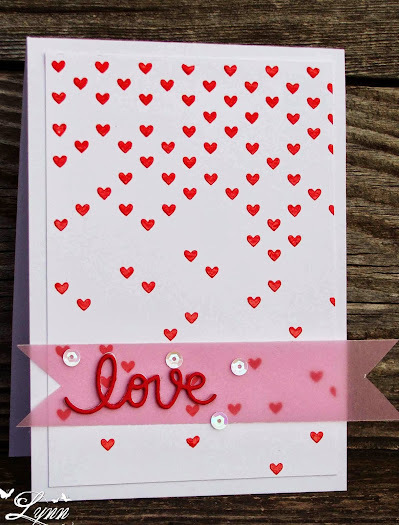 The theme for this challenge is LOVE - it's all you ever need and especially with Valentine's Day coming up soon! Come on over and play with us for your chance to win some All Dressed Up images. 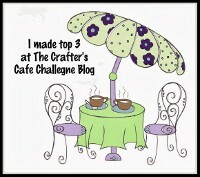 Be sure and stop by the blog and look at all the wonderful inspiration from the DT and enter! Just a reminder - you must use an All Dressed Up image - but that's not hard to do since you'll find freebies on the site! I used the puppy from I Love My Puppy and you can find it in the All Dressed Up SHOP. The image has a cute little girl, flowers, and everything but of course I singled out the puppy - since I love all those furry little creatures. The "grass" is a piece of unknown DP hand cut and placed on some Bashful Blue card stock. 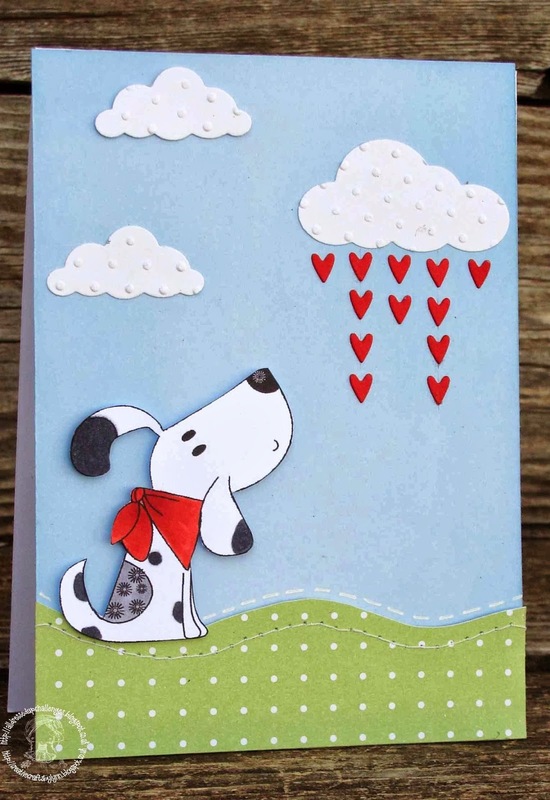 I embossed the clouds and then popped them up on the card. It appears to be raining hearts......I'd really rather have the real rain down here in Texas where it's so dry, but will go with the hearts on this! Maybe once it's rained all the hearts out, we'll get some of the wet stuff. 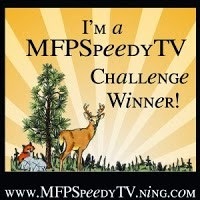 Thanks for stopping by......and check out the All Dressed Up challenge.